How did I do it? Launching a box set is actually pretty easy… though I’ll need to caveat that you DO need to actually have multiple books written. 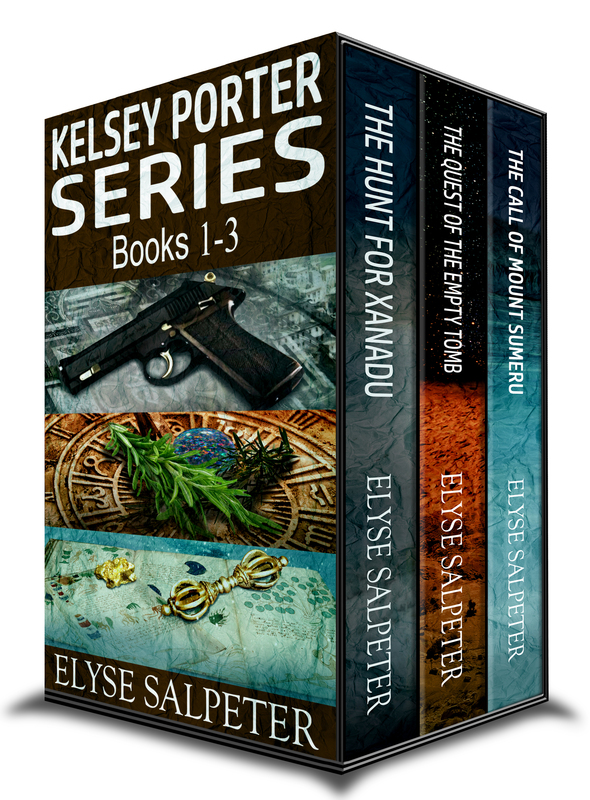 I waited to do a box set until after I had 5 books in the Kelsey Porter series published. Then what I did was contact my formatter and she made me an ebook file of the first three novels. She put it all together in one document that I uploaded to Amazon. The only difference is you don’t need the added copy at the end of each novel, as the next book is already there, ready to go. But, at the very end of the ebook, I did the amazon link and the 1st chapter of Book #4 so the readers could continue the series. Then, I contacted my cover artist, Laura LaRoche at LLPix Designs, and she created this really cool box set cover, as you can see here. She used the same “feel” as the covers of the series and I think she did a great job. Now, why did I do only three? Because I heard you can’t do a box set on Amazon for more than $9.99. I heard that at a conference recently and frankly, I just didn’t want to have all five books available for that price. So I put the first three ebooks out for $7.99, which is a savings off of what they would cost if you purchased all three separately. A fast paced trio of thrillers. Kelsey Porter is on a mission to hunt down her parents’ killers, but soon finds her own life in jeopardy. Join her as she treks across the globe from Tibet and Colombia, to Egypt and Alaska, where she is swept up in Buddhist spiritual mysteries as old as time as she seeks justice from those that hurt her and her family. After barely surviving the slaughter which killed her parents in Tibet, Kelsey has spent the last twelve years seeking vengeance. But before she can locate the murderers, she has to discover their motives for the brutal crime. Determined to discover the truth, she sets out on a dangerous journey with rogue cop, Detective Desmond Gisborne. As they hunt the killers across the globe, Kelsey learns that it is not she who is hunting… but the one being hunted. Kelsey returns from Tibet with Desmond to begin a new life in New York City. But peace is not to come to her. One night, a stranger appears at her door with a note from a man from her past, begging for her aid. It involves her parents and Kelsey leaves for Egypt to learn the truth. But the truth is more than she bargained for. What secrets did her parents hide? Why is she now plagued with odd aches and pains and why is she having nightmares again? Kelsey must find answers and the only way to get them is to confront her demons and solve the ultimate mystery: The Quest of the Empty Tomb. Kelsey Porter returns to NYC with her world turned upside down. Her brother has betrayed her, her boyfriend is missing, and she’s left with a mysterious manuscript no one can decipher. It’s not until she goes searching for the elusive legend of Bigfoot at a Buddhist Monastery in Alaska that she finds herself, yet again, thrust into situations that are seemingly beyond her control. Why are children suddenly missing across the Pacific Northwest? Where is Desmond? Are these mysterious creatures in the woods really Yetis? It’s these questions she pursues and this time it’s not her life that hangs in the balance, but the lives of an entire civilization.